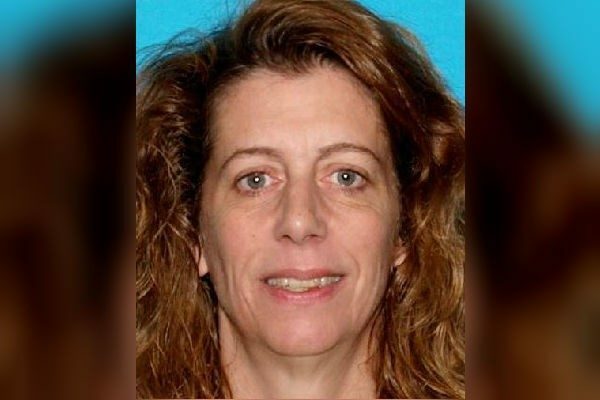 Carol Sharrow, 52, of Sanford was charged with manslaughter in the Friday death of Douglas Parkhurst, 68, of West Newfield at a Sanford ball field. The man killed Friday evening by a driver who careened onto the field during a baseball game in Sanford had confessed five years ago to perpetrating a hit-and-run himself, which caused the death of a 4-year-old girl in upstate New York five decades ago. Douglas Parkhurst, 68, of West Newfield died after Carol Sharrow, 52, of Sanford allegedly struck him with her car as she was trying to speed out of Goodall Park after creating a scene of panic and chaos on the field, according to police reports. Video taken by a game attendee showed people running for safety as the car erratically traveled around the field during the ballgame. Parkhurst, a Vietnam veteran and grandfather, was pronounced dead on the way to the hospital. Sharrow was arrested on an OUI charge in Maine in 2011, according to Cpl. Matthew Gagne of the Sanford Police Department. The Portland Press Herald reported that she also had an OUI conviction in New Hampshire. Gagne said investigators had not determined whether Sharrow had any connection to the baseball field or to Parkhurst. Police tracked Sharrow to her residence shortly after her 2003 Honda Civic allegedly left the field. They arrested her and charged her with manslaughter, and on Sunday evening she remained at the York County Jail in Alfred. Police are investigating whether Sharrow, who worked at Lowe’s in Sanford, was driving under the influence of alcohol or drugs. “We don’t have any reason, if there was a motive, or if this was just something that just happened,” Gagne said. After the grisly events unfolded Friday night, someone with the Sanford Little League said on the group’s Facebook page that Parkhurst had died while protecting others. Gagne said he heard that account from witnesses, as well as an account that Parkhurst was trying to close the gate to the field to keep Sharrow’s car from leaving. Later in the weekend, though, a strange coincidence emerged. Parkhurst had been behind the wheel of a car in Fulton, New York, when he struck and killed Carolee Ashby, 4, on Halloween night in 1968, according to a report from the Syracuse Post-Standard and syracuse.com. In 2014, the newspaper published a series of articles about the case, which remained unsolved for decades. Immediately after that hit-and-run, Parkhurst was a suspect, and investigators found front-end damage to his Buick. He initially told the police he had hit a guardrail, not a child. Police were skeptical, the Syracuse Post-Standard reported, but they nevertheless let him go. In 2013, however, police went to his house in Oswego, New York, and began talking to him again about the case. Eventually, he walked into a police station and confessed, signing a four-page confession about the crime, the newspaper said. But the statute of limitations had run out so he wasn’t prosecuted. After Carolee Ashby’s death, Parkhurst joined the Air Force and was sent to Vietnam, where he worked as a cook before being discharged in 1971 with the rank of Airman 1st Class. Later, he worked as a house painter and retired as a steamfitter. He also married and had children and grandchildren, according to the series about the case in the Syracuse Post-Standard. Gagne said he couldn’t comment about the prior hit-and-run. But he said it was fortunate that more people weren’t hurt or killed at the ball field Friday night.